Have you ever wondered what would happen when all your Disney dreams come true? 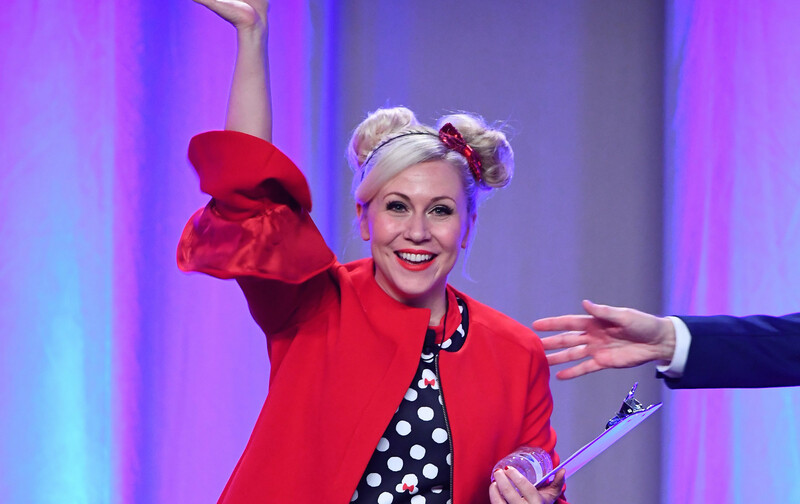 If you’re searching for a clear example of that, look no further than Ashley Eckstein. The actress-business-lady-fashion-designer-soon-to-be-author owes a whole lot of her her good fortune and outlook on life to the Happiest Place on Earth, Disney World (and, of course, The Walt Disney Company). She started her career with Disney at age 16, and now, years later, she’s still a part of the magic in so many different ways. When I got the chance to sit down and talk with Eckstein on the last day of San Diego Comic-Con, I knew we had to talk about Disney. Eckstein is behind the widely popular HerUniverse lifestyle brand that has dozens of different Disney (and Star Wars and Marvel!) designs already available, and so many more to come. She also happens to be the voice of Anakin Skywalker’s Padawan, Ahsoka Tano, and has an upcoming Disney book slated for next year. Is there even anything else left for Eckstein to tackle with Mickey Mouse? The answer is, without a doubt, yes. What follows is Part 2 of my delightful chat about the magic of the Disney, princesses in space, and donuts — and the immediate bond between two former Walt Disney World cast members. HelloGiggles: So now you’ve done so many things with Disney. You voice Ahsoka, you have a whole clothing line, you have a book coming up. Is there anything else on this Disney bucket list? Because truly, without Disney, I don’t know if I’d be standing here today. Growing up in Orlando, Florida, my dad worked for Disney. I was raised to wish upon a star and believe that your dreams will come true. So I said, “If I can give that back to girls today, to kids today, and encourage them that their dreams can and do come true, that would be a dream come true for me.” I want to pay it forward, I want to pass it on, and somehow they agreed. They said, “Sure, let’s do it.” So in May of 2018, I have a book coming out for Disney called It’s Your Universe. It’s a little overwhelming because I’ve never written a book before. I do have an amazing writer that I’m working with, Stacey Kravitz. She’s incredible in guiding me, because she’s written a couple of very empowering books for girls. So, I’m excited about the project. It’s so funny you asked this question because I was telling my husband this morning I think the ultimate dream, if Disney’s next princess would be like a princess in space, that’d be really cool. I’d love to voice a Disney princess, but have it be like in space. HG: Okay. I’m going to get working on that actually. That sounds amazing. AE: Yeah, I feel like we’ve had princesses at sea, and on islands, and as warriors, but we haven’t really had one in space. HG: No, the princesses haven’t gone to space yet. AE: I think we need one. HG: That is the next frontier. I also feel like you’re very nicely positioning yourself to one day just become CEO of Disney, as you just go through all the different channels of the company. I want to do more of that, because a lot of it is just awareness. I feel like we live in a world where girls are so smart in science and math, but they’re not always shown [what they can achieve]. We’re doing more and more now with STEM and everything, but not always shown like, “Here’s how you can apply your education. 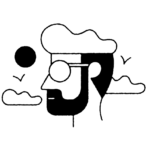 Look at all these cool jobs you can do.” I want to bring more awareness to the really cool jobs that are out there, that they can apply their education to. HG: I mean, you have a pretty cool job right now. AE: You know, I feel like it’s not work. I mean, honestly, I wake up every morning and you can’t even call it a job. I really am living a dream, and I feel like that’s what [live] should be. Find what your passion is and then pursue that. You can turn your passion into your career. HG: I know, once upon a time, I actually used to work at Walt Disney World. AE: Really? Oh my gosh, that’s awesome! In Orlando? AE: Oh my gosh, what did you do? HG: I was in Guest Relations. HG: I was actually VIP Tour Guide, so I saw you many times at Star Wars Weekends. Always from a distance though. AE: Maybe that’s why you look familiar. HG: The last time I saw you, May 2013, Billy Dee Williams was there. AE: Yes! Oh my gosh! That’s a really big deal to be a VIP Tour Guide, though. I know that that’s like a hard thing to become. AE; Oh my gosh, I have to show you real quick…I have to show you [reaches into her bag and pulls out her wallet, showing a very old Disney ID]. This is from when I was 16. HG: Oh my gosh. You still have your ID? I love that. I still have my ID, too. I was like, “I’m never giving this back!” I ran with it. Wow, old school ID. AE: Yeah, totally old school. I actually became a cast member on my 16th birthday. That’s how bad I wanted to be one. HG: Yeah, I moved down to Orlando for the College Program, and then I just stayed. Then three years later I was like, “Orlando’s very hot.” I thought, “Where else can I go where there’s a Disney park?” I moved to L.A. and immediately got my annual pass, because I can never leave Disney. AE: We are totally going to have to meet up at Disney one time. AE: It would be incredible. I want to try those gourmet doughnuts at the end of Main Street. HG: Yes! I just had one. It had one with chocolate covered potato chips on it. I had already eaten too much, but I saw it and it was the end of the day and I was like, “I can’t leave without eating this.” It was delicious. But clearly, demonstrated by this chat, I’ve learned that people who used to work at Disney are fascinated by meeting other people who used to work at Disney. What’s the best thing you learned from your time working at Walt Disney World? AE: I kind of have a funny story about my time at Walt Disney World. It was my dream [to work there], and my dad worked for Disney. From the time I was two until I was 16 where I could actually become a cast member, I was counting down the days, like literally. I had in my mind what I was going to do. As an actress, I wanted to be in entertainment, and I knew what I wanted to do. I became a cast member…and then what I wanted to do didn’t happen. I got stuck in a job that was not what I wanted to do for Disney World. It actually taught me a very valuable life lesson, a lesson that I needed to learn at that time. That you know what? Things aren’t always going to go your way, but everything happens for a reason and you’re supposed to make the most of every situation. I learned so much about my time as a cast member, about how to make the most of the opportunities you’re given. I only was a cast member for two years, but it was two of the best years of my life. I was not in the role that I expected to be, but it was the role that was meant to be. I’m so grateful for it. I was in high school, it was my high school job. It was hard work, but it was a lot of fun so I’m so grateful for it. I think, go into every situation trying to learn from it, make the most of it, and it’s not always going to be what you want it to be, but you’re there for a reason and you’re there to learn a lesson, and to learn as much as you can from it. So yeah, make the most of every opportunity that’s given to you. HG: When I showed up at Disney, I was placed at DisneyQuest, and I just cried hysterically. AE: Because that was not where you wanted to be. HG: And then six months later, I was a VIP Tour Guide, so it was fine, but I completely agree with that. Can we do a food tour for Disney? HG: We can do a food tour for Disney! AE: Let’s do something on like the best sweets at Disney World and California Adventure. HG: That’s like my dream day. That’s every day I go to Disneyland actually, but I have to eat a corn dog before the end of day. AE: Okay, I love corn dogs, too. HG: Corn dogs are my favorite. If I don’t get a corn dog, I get really upset. AE: Oh my gosh, that and the dill pickle popcorn, have you had that? AE: Oh yes, there’s dill pickle popcorn in Cars Land, and it’s incredible. HG: Usually I’m running to Radiator Springs Racers as soon as I get into Cars Land, I’m not usually stopping for the food. I didn’t realize there was dill pickle popcorn there. AE: Maybe totally unrelated, we have to go on a food tour. HG; Yes, done. I am there. AE: That sounds like my dream day. And calories don’t count at Disney. They’re totally empty. You can read Part One of our talk with Ashley right here.